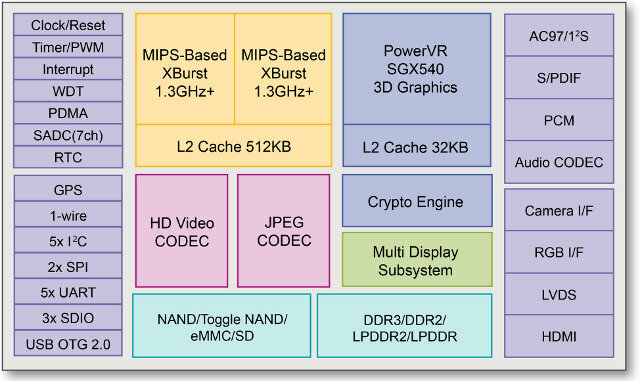 MIPS and Ingenic Semiconductor have just introduced the JZ4780, a low cost dual core MIPS XBurst processor with a PowerVR SGX540 GPU. 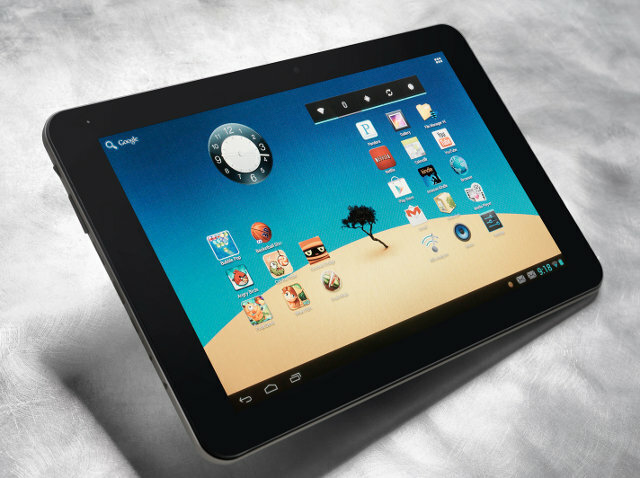 The companies will demonstrate their solution in a 10″ Android 4.1 Jelly Bean reference tablet during CES 2013, on January 8 – 12, 2013. Power Consumption – Ingenic’s MIPS-Based XBurst processor is said to consumes approximately 140mW per GHz under full load. Ingenic will also demonstrate a version of the tablet that includes Altair’s MIPS-Based FourGee chipset bringing LTE networking to the device. JZ4780 SoC is available now. For more information, including JZ4780 Datasheet, and RD4780_PISCES development board hardware manual and schematics, visit Ingenic JZ4780 page.